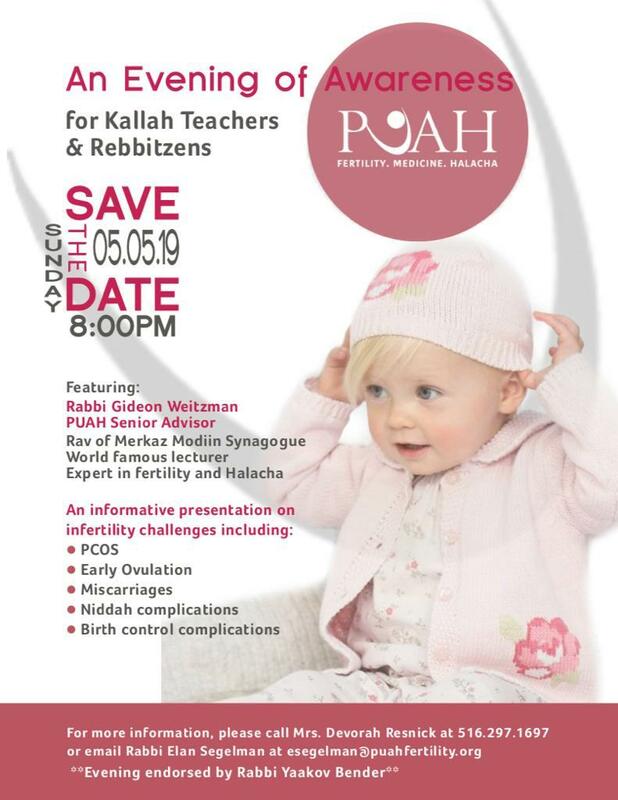 PUAH : Fertility. Medicine. Halacha. 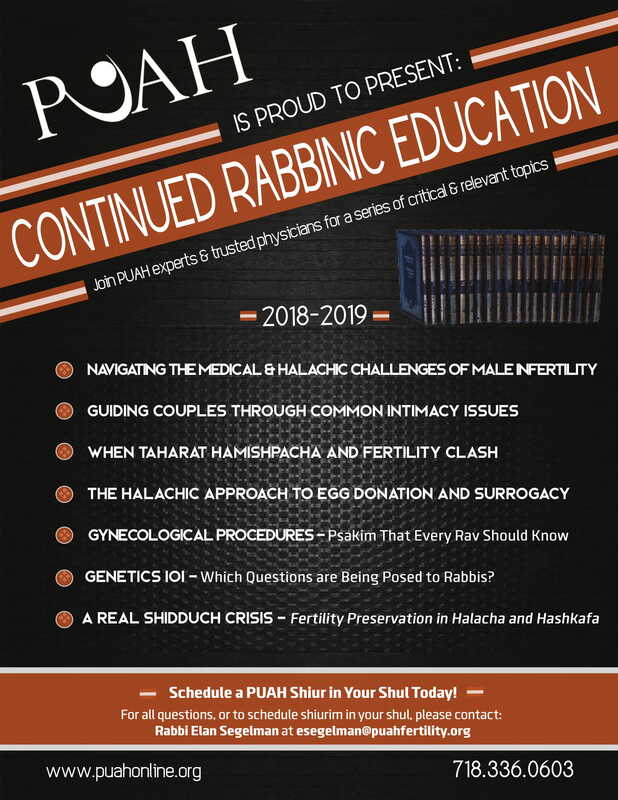 Find information about fertility and Jewish law, genetics, fertility preservation, menopause, assisted reproductive medicine, webinars and more. PUAH offers education, counseling and coaching, as well as lab observation to prevent human error. 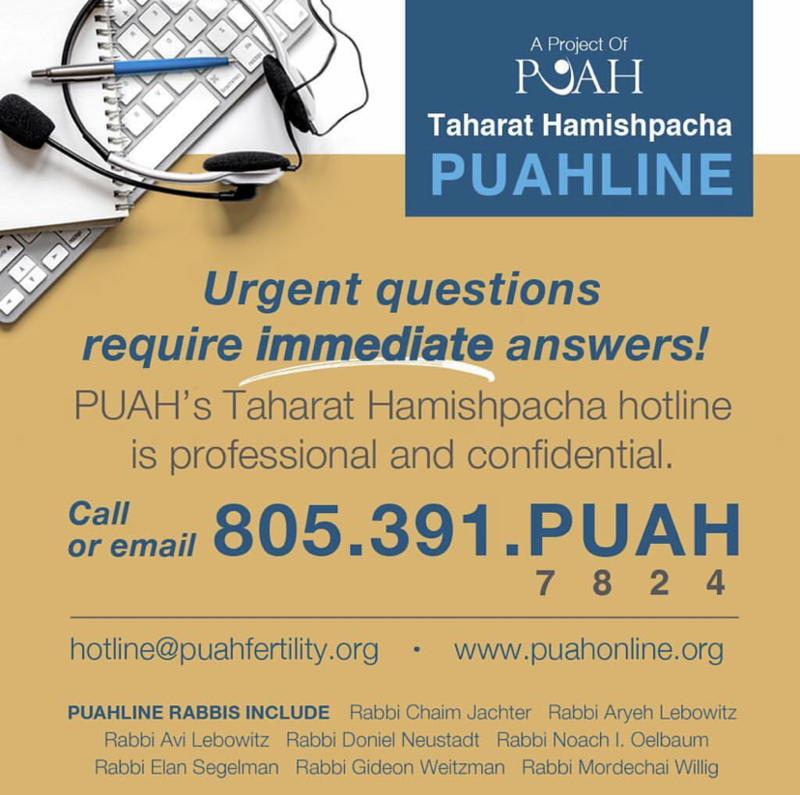 Our team of experts personally guide our clients step by step through the entire fertility process in accordance to Jewish law. Share your skills, open up your home, advocate for PUAH, donate time and resources. There are many ways you can help the dream of a baby become a reality!